You are here: Home › Giveaways › Baby Magic Un-boxing & GIVEAWAY!!! 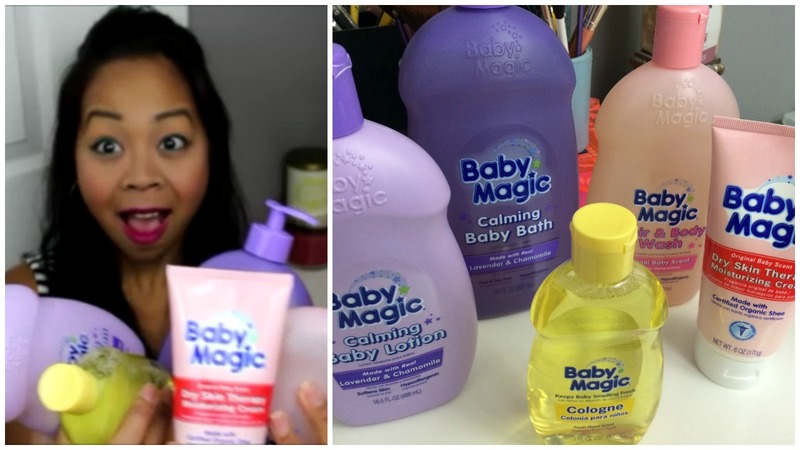 Have you tried Baby magic products yet? This is my un-boxing of new hair, body & skincare for my 3 kids of products sent to me by Baby Magic and this is also a GIVEAWAY! 1 lucky winner will win the entire set I hand picked in this video! What is you favorite go to Baby Magic item? I’m loving all of these items so far, especially the original scent products! I have been using the moisturizing creme on myself too! 28 Responses to "Baby Magic Un-boxing & GIVEAWAY!!!" I would like to try the calming bath… however, baby magic original in the pink bottle is my all time favorite baby smell!!! <3 Thanks for a great giveaway! The calming baby wash would be nice to try since I typically bathe my babies at night to settle them down. I have never tried Baby Magic products but have heard great things about them. I love the Calming Baby line. I am most excited to try the Calming Baby Bath. Most excited to try the calming baby wash My daughter has severe eczema and Lavender usually soothing for her! I’d def.want to try the calming wash…Anything that’ll calm my 3 hyper children will do for me! LoL thanks for the awesome video Cole & the giveaway! I’d love to try the Baby Magic Hair and Body Wash. I would love to try the dry skin therapy. Baby Magic! I especially want to try the Baby Magic Dry Skin Therapy Moisturizing Cream! Good luck everyone! All Baby Magic products are my all time favorite. The original scent is my favorite. I would love to try all these products for my twins! I would love to try the baby magic body lotion. Did Baby Magic ship my giveaway gift?